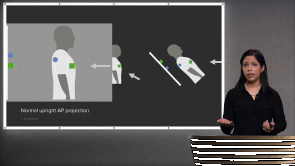 Learn thoracic radiograph interpretation from an expert! 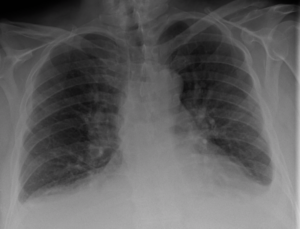 Regardless of specialty, chest radiographs are the most commonly encountered imaging exams that you'll ever see as a doctor or medical student. 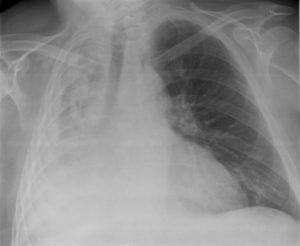 This course will teach you about chest x-ray techniques and how to describe findings and abnormalities in the heart, lungs, bones and breasts. 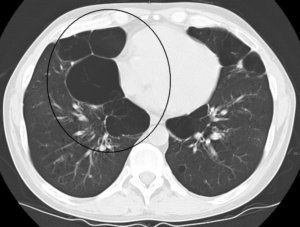 Learn about the common imaging appearance of pulmonary edema and pneumonia. You will also learn the difference between a diagnostic and screening mammogram and what BIRADS categories mean. Dr. Hetal Verma, Clinical Instructor of Radiology at Harvard Medical School and Co-Director of the Radiology Cambridge Integrated Clerkship, instructs the class. 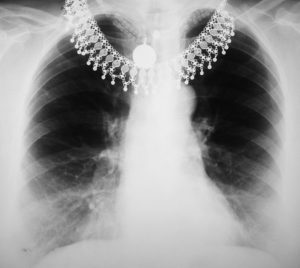 Her expertise and teaching will ensure that you are able to confidently read any chest x-ray you are given. Start learning clinical pearls from our expert and gain the confidence to excel on your rotations and with your USMLE exams. Start studying with Lecturio today! 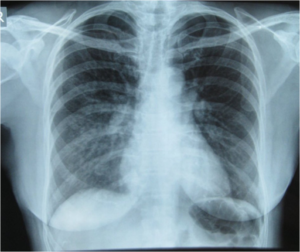 Pleural effusions are a common encounter at the emergency department, outpatient and inpatient wards in hospitals. Up to one-half of the hospitalized patients with bacterial pneumonia are expected to develop or have pleural effusion during their admission. Moreover, up to two-thirds of intensive care unit patients are found to have a pleural effusion for one reason or another. 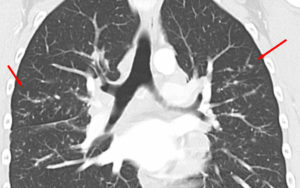 Atelectasis is a condition that is characterized by the collapse of the alveoli and eventually lobar lung collapse and complete obstruction. The causes, pathophysiology, and consequences of atelectasis where the air passages and alveoli are completely obstructed are different from partial airway obstruction. 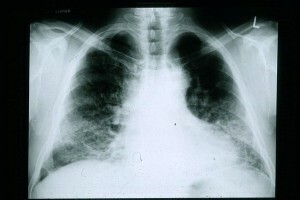 Partial airway obstruction is characterized by hyperinflation and air trapping. Mediastinal masses can be benign cysts, neurogenic tumors, germ cell neoplasms, thymomas or lymphomas. The mediastinum is demarcated by the pleural cavities laterally. Superior to the mediastinum, you find the thoracic inlet. The mediastinum is usually divided into three main compartments: anterior, middle and posterior. This anatomical classification of the mediastinum is useful for the radiologist as the differential diagnoses of a mediastinal mass is dependent on the anatomical location of the mass—among other factors. The chest X-ray is a cheap, feasible, screening tool for cardiac and respiratory diseases in neonates, children, and adults. 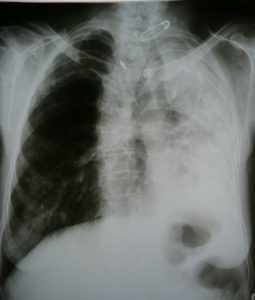 The heart shadow on the chest X-ray “cardiac silhouette” occupies half of the anteroposterior chest X-ray film in normal individuals. 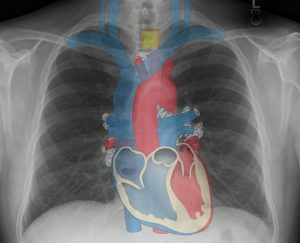 Therefore, the examination and evaluation of the cardiac silhouette on the conventional X-ray has received interest from radiologists and pediatricians. The main aim of examining the cardiac silhouette is to determine the heart’s size, the identification of the different contours of the heart, and the categorization of the pulmonary vascularity. 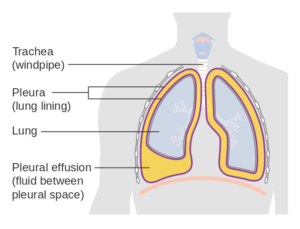 Emphysema is defined as the destruction of the airways distal to the terminal bronchiole. It can be classified into centrilobular, panlobular, and paraseptal. 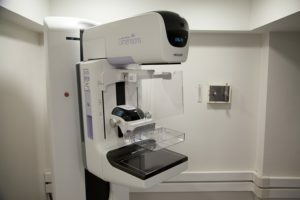 Breast cancer screening is essential in lowering breast-cancer related mortality and the prevalence of invasive and advanced breast cancer in high risk women. High risk women should receive a screening that is based on at least three imaging modalities, i.e., mammography, magnetic resonance imaging and ultrasonography, for the primary prevention of breast cancer. The use of these three modalities allows for the early detection of breast cancer or precancerous lesions. Well done introduction to chest radiography. basic positions advantages were well covered. The presentation was well organized and the different visual representations helped me in understanding what Dr. Hetal meant. She is speak very good. I like this lecture very much. Nice presentation. Easy to understand. Dr Verma is a superb presentor. I learn more from what I see than what i read. I will recommend this to my colleagues. 1. Dr Verma is very knowledgeable, professional and desses very well. 2. Her presentations are very ilustrative, concise, substantial and in clear American English. 3. Very easy to understand, you don’t get bored and want to learn more. 4. Every lecture has quizzes that help you to reinforce your knowledge and will help you remember all the lecture for a long time. 5. I learned so much in so little time! Thank you so much Lecturio and Dr Verma! I love to watch her lectures. She is so great. Her voice, her syle are so professional. I recommend this course to all Med students! Wow, this is so informative! I never expected to learn the relevance and all the info presented in an engaging and comprehensive manner. I only wish that the interface for taking notes could be made a bit more accessible though to learners. Other than that, I enjoyed the lecture very much. The steps for diagnosis and reason behind it are well explained, thank you. I will definitely recommend my other friends to have a look. It's a great review of things! THORAXIC RADIOLOGY IMPROVED MY PRACTICE. very awsome presentationwith alot of anatomy and explanation. need to sit in a classroom. very awsomepresentarionof Thoraxic Radiology.